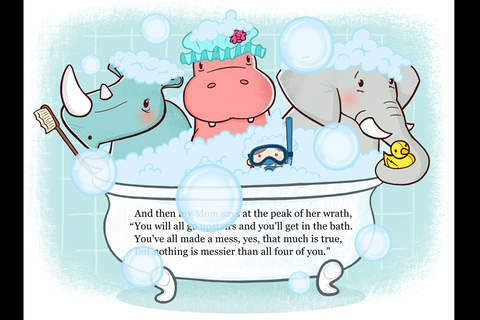 The Hippo, the Rhino, the Elephant and Me is an adorable story about a little girl and her 3 best friends. Told in rhyme and full of interactivity, the story follows the characters through a week of fun. Kids join the fun as the characters play hide & seek, make music in a band, color, pretend to be monsters, race through the house, go to the park, and last but not least – clean up their mess (an ending that parents are sure to appreciate.) The story has 2 reading modes: read it myself or read it to me. The Hippo, the Rhino, the Elephant and Me is beautifully illustrated by British artist Lisa Hunt – a cute story that your kids are sure to enjoy! 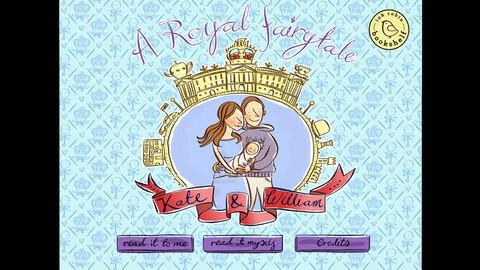 Will & Kate is a royal fairy tale. This e-book tells the story of a young prince named William (who lived in England) and a young girl named Kate. They meet, become best friends, go on adventures together, and decide to marry. Sound familiar?? Kids join the fun as the royal couple as they take a hot air balloon ride, set off fireworks to celebrate their engagement, help Kate choose her wedding dress, and attend the wedding. The story has 2 reading modes: read it myself or read it to me. The story is full of fun interactivity and is cutely done! PJ’s PJs- Giraffe! is another adorable app from Ink Robin Inc. From England comes the story of Percival Jenkins, a little boy with approximately 329 pairs of pyjamas. Choosing the ones to wear is the most important decision of his day. When he puts them on, his adventures begin. In this interactive tale, he chooses to wear his giraffe pyjamas. Kids learn what it’s like to be a giraffe as they travel to Africa with Percival. Cute illustrations add to the appeal of this educational app – a fun addition to your digital library! Other titles are also available in this series. 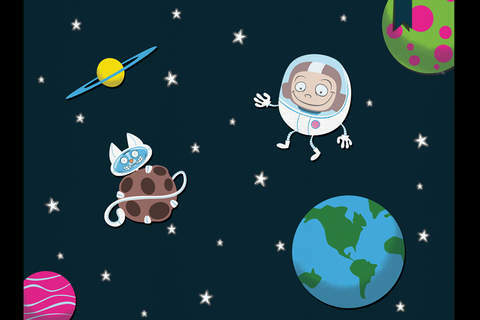 Leonard is a fun interactive story about a young boy with an excellent imagination. When Leonard’s family moves from the city to the country, he is met with the challenge of finding new friends. He searches everywhere – a bug-filled forest, underwater, outer space, a safari, even his sister’s tea party. Kids join Leonard on his problem-solving adventure and encounter interactive surprises along the way. The story has 2 reading modes: read it myself or read it to me. Leonard is a beautifully illustrated, sweet story that your kids are sure to enjoy! 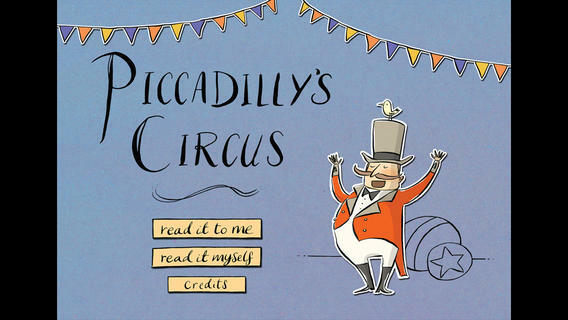 Piccadilly’s Circus is a humorous story about a group of circus performers. In order to solve an argument about which act is the most difficult, they decide to swap acts for one night. What could possibly go wrong? Elephants try to cross a tightrope, clowns try a fire-breathing act, the monkeys are in charge of the concessions, and other such silliness. In the end, they all apologize and help put the circus back together. This story was a 2013 Parents’ Choice Award winner. 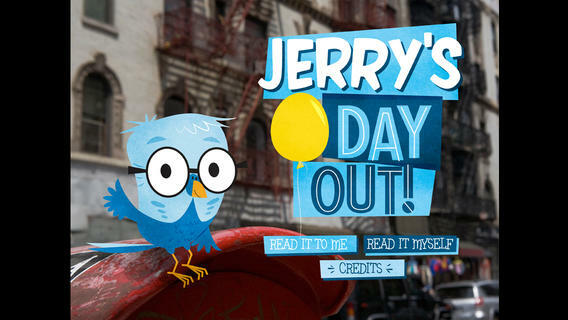 Jerry’s Day Out is the tale of a very small bird lost in a very BIG city – New York City! Kids join Jerry as he wanders around New York meeting all sorts of characters – latte-drinking possums, chess-playing cockroaches, jazz-playing owls, and more. Like all Ink Robin apps, this one is full of interactivity that helps to engage kids. What makes this app unique is its art – Gustav Dejert’s illustrations on the backgrounds of real NYC photos. 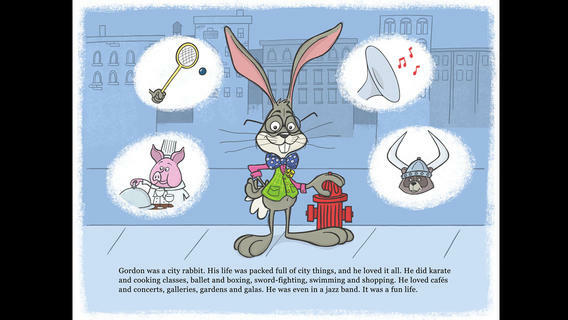 A Rabbit’s Tale is a cute story about a rabbit named Gordon with a VERY busy life in the city. When he goes to visit his cousin Fox, he is forced to slow down a bit. Ink Robin Apps delivers another fun interactive tale that kids are sure to enjoy!